1). Material:eco-friendly material,non-woven fabrics, non-woven lamination fabrics. 3). Specification:clients' request is available. 4). Handle: non-woven fabrics,webbing.Can stitched with "x". 6). Size: 40(L)*32(H)*12(W)cm /your request is welcomed,customized. 8). 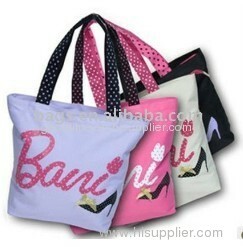 Application:suitable for advertisement,gift bag,grocery store,surpermarket shopping,sales promotion and so on. 9). Color reference:pantone color card/CMYK. 10). We produce all kinds of shopping bags,such as pp woven bags,pp non-woven bags,nonwoven bags,etc.